Alim Exam Result: The education Ministry of Bangladesh recently said that Madrasah Board ALIM result will be published in 9th August 2015. It will be announced at 10 AM on that day. The Madrasah education Board in Bangladesh is responsible the exam of ALIM Examination. This year ALIM exam starts 1st April, 2015. H.S.C examination will be held under ten education boards including one Madrasah and one technical education board. ALIM exam is equivalent to H.S.C exam of Bangladesh. 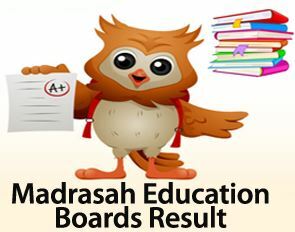 To pass this exam means you have passed the H.S.C exam under the Madrasah Education Board of Bangladesh. Every year huge number of student attends in the ALIM Exam. There are total 84,360 students attend in ALIM Exam 2015. ALIM Exam 2015 completed on June 2015. Now examines are waiting for Alim Exam Result 2015. Alim Exam Result with Full Mark Sheet: There are two ways to see your ALIM result 2015. Online Base: Recently according to the Digital process and online system easily you can see your result at online. You go to the website link and see your result easily. Link is http://www.educationboardresults.gov.bd/regular/index.php. After publish the Alim Exam Result it will be available here with your full marks sheet. Note that, Re-scrutiny application submits only from TELETALK prepaid mobile phone.